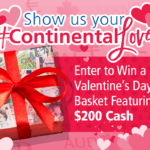 Follow Continental on Twitter to Win $50! Follow Us and Win $50! Note: Welcome to Round 2 of ‘Follow to Win $50’! We are happy to announce a new giveaway from Continental Currency Exchange…’Follow to Win $50′! All you have to do is follow us on Twitter, and you’ll be entered to win $50 for pick up at your nearest branch or delivered to your home! It’s that simple…just enter below! Plus, when you’re a follower you get the latest news from Continental – including future contests, travel guides, promotions and deals, events, and more! Bonus: If you’re already following us, you can enter your Twitter handle in the widget above to take part. After you’ve done that, you can still Tweet at us for more entries! The contest begins Thursday February 8, 2018 at 4pm and ends at the end of the day on Thursday March 1, 2018 – so be sure to enter before then! At the conclusion of the contest, a winner will be chosen for the grand prize. $50 (Canadian equivalent, in the currency of your choice) will be made available at the branch of your choice or shipped to your home address (some restrictions apply). The prize is only available to entrants within Canada (excluding Quebec for home delivery). That’s all there is to it! We can’t wait to welcome you and all these new members to our Twitter family. Most importantly however, good luck in the draw! Check out our Twitter profile. Remember to follow us through the widget on this page or else your entry won’t be counted! Review Us and Win $200! 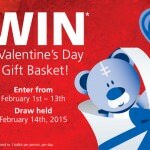 Win Big on Valentine's Day!